I have to say, this was a pretty fun give away. 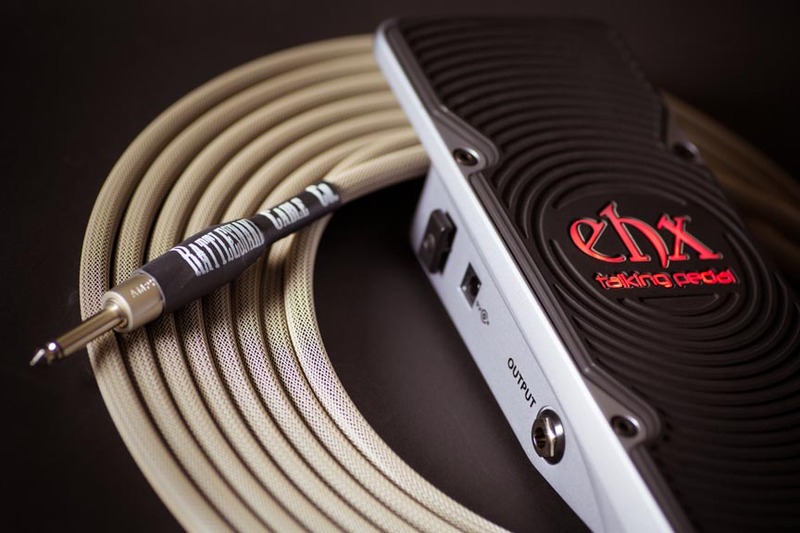 There has been a lot of talk about the Electro-Harmonix Talking Pedal and their innovative new take on the ‘wah’ style pedal. We were super excited to have the opportunity to demo the pedal AND to be able to give it away to a lucky EffectsBay.com reader. All of you know that Electro-Harmonix makes amazing pedals, but please take a moment and check out their site, it’s the least we can do for them allowing us to give away a pedal! Okay.. now on to the winner. Firing up the random number generator based on the entries, the winner of the Electro-Harmonix Talking Pedal is Josh M. of Rocky Hill, CT. Congrats Josh.. I hope you enjoy the pedal. Since you also ‘liked’ Rattlesnake Cables on Facebook, you’ll also receive a 20′ Standard Dirty Tweed cable with straight to straight Amphenol plugs (reg price of $65)! Boom! Got to be stoked on all of that. Josh, please let us know what you think of the pedal! For those of you that didn’t win, well, I have have more to give away, and I’ll be announcing that very soon. So please keep a look out for it when it comes out!